Anyone who even thinks about running for President of the US and A is probably a Cunto. Just make your mind up, hen. 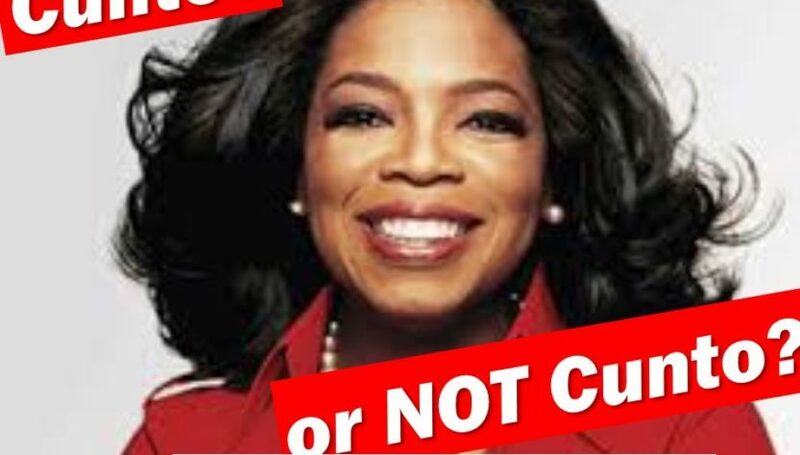 Then again, Oprah Winfrey has broken ground: for women, for black people and she’s inspired whole generations. Then again, inspired them to do what? To sit in front of the telly and worry about HER weight? Being America’s first and so far only black female billionaire is pretty impressive, but doesn’t being any kind of billionaire automatically qualify you for Cunto status in the foodbank scene of the 21st century?